If you follow my blog regularly, then you will know I'm subscribed to pretty much every subscription box available in Australia - which means a lot of samples! Since I'm so bad at actually using them (as I feel guilty using products without reviewing them, and I feel stupid reviewing a small sample sized product - see the vicious cycle!) I decided to start a new segment on my blog called Sample Saturday. The idea came from my beautiful friend Melissa (check out her blog here!) who does this every now and then on Thursdays, with a few miniature reviews! 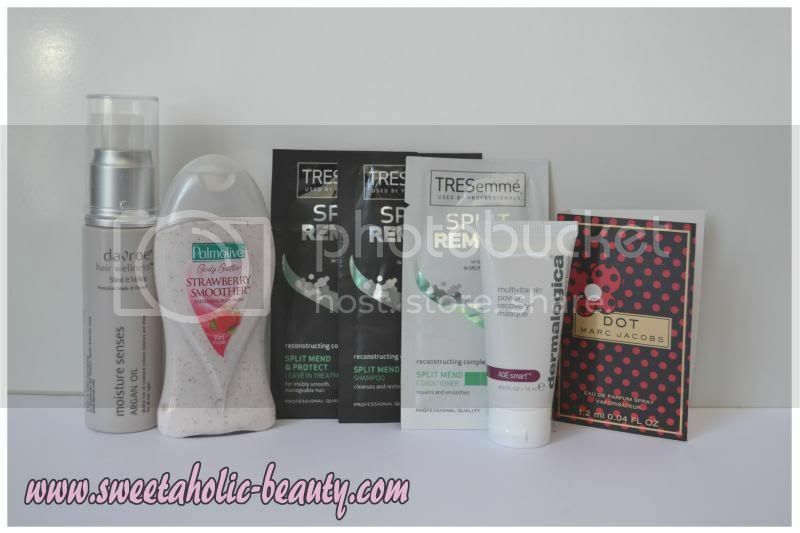 I'll be choosing five products each week and reviewing them all on Saturdays! The sample size was extremely generous, and I have enough for a second application! The scent was lovely and neutral, and not at all too overbearing. 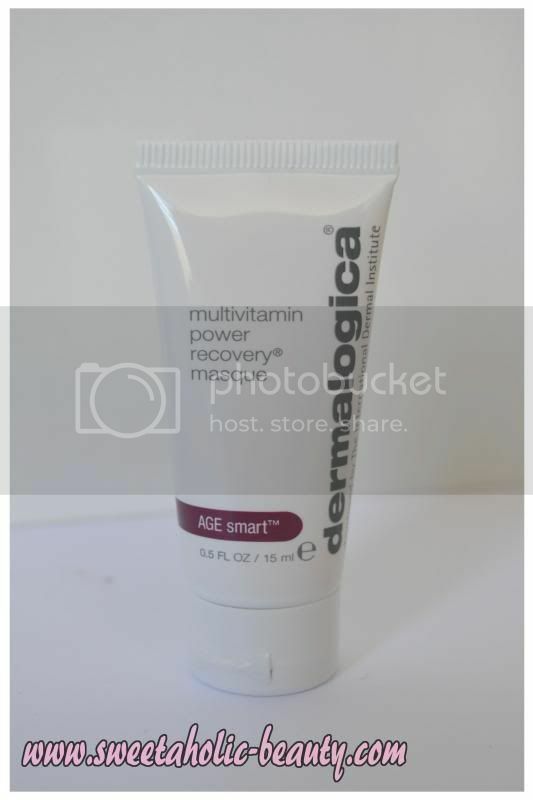 Being a cream base, it sunk into my skin really nicely and didn't dry it out at all during the application process. Afterwards, it made my skin feel really soft and clean! I was a bit frightened when I looked at my face just before washing it off, and I was completely orange! I was scared that it might have stained my skin (as I left it on a little bit longer than suggested), but luckily there was no staining! Well, I didn't think too much of this body wash. The only positives about this body wash that I can comment on are the price - it's definitely good if you're penny pinching, and the fact that it's actually body wash and can clean your skin. Not a lot going for it. The exfoliating beads were kind of nice? You will all probably hate me, but I didn't like the smell! At first, I thought it was ok, but when I actually used the product, I found the smell became a bit overbearing for my tastes. I also had a huge problem trying to get the product out of the bottle! Not sure if it was just because it was a sample size, but I really had to squeeze! I don't think so, unfortunately this one just wasn't for me. The smell of this was really lovely! My hair was nice and shiny after using this! 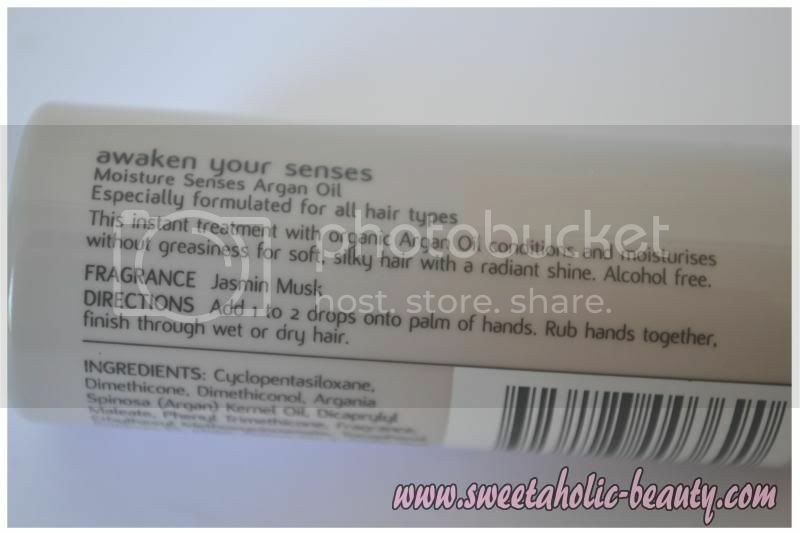 The oil easily absorbed into my hair as well, and didn't leave it feeling greasy or wet. The application. I was a bit sad that this was not a spray, but an actual oil that you need to run through your hair. At first my hair was weighed down slightly, but after brushing it through it was okay. Probably not. I'm a spray kind of girl, if I use oil in my hair at all. I think this would be best suited for those with dry hair. The scent of this is crazy amazing! I love the clean, floral smell! 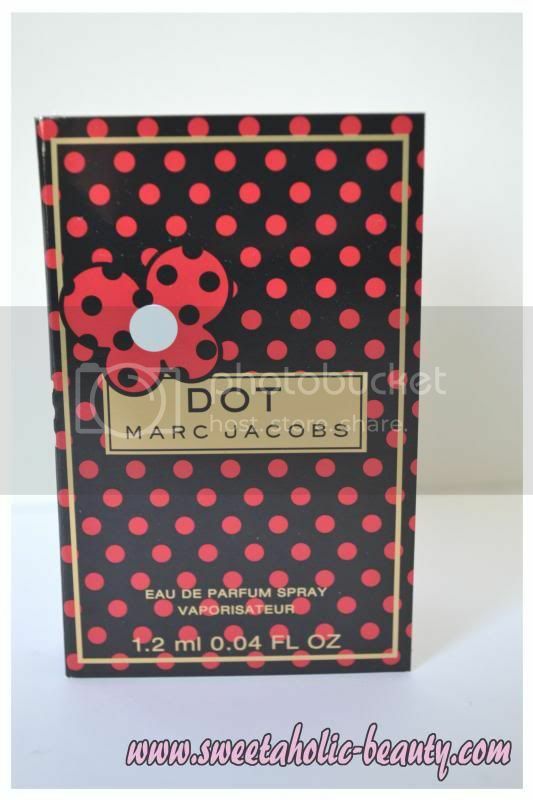 I also found the staying power to be fairly good, with the scent lingering for some hours before needing to reapply. To be honest, nothing. I loved this completely. I have a lot of perfume, and my collection is constantly growing, so yes! 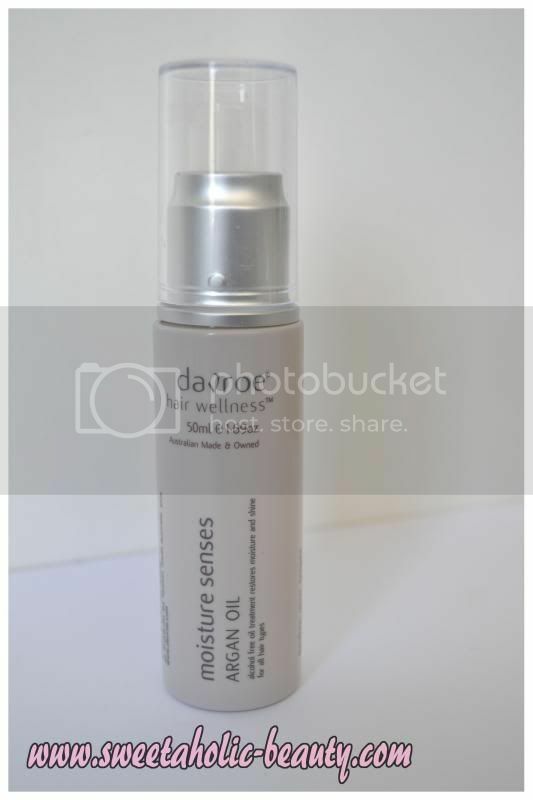 I would repurchase! I loved the way this made my hair feel! It really cleaned my hair well and didn't leave me with too dry or too oily hair! I was a bit concerned that due to my long hair, this kind of product & treatment might weigh my hair down, but after using this, my hair still retained a lot of volume which was great! The smell was also incredible! 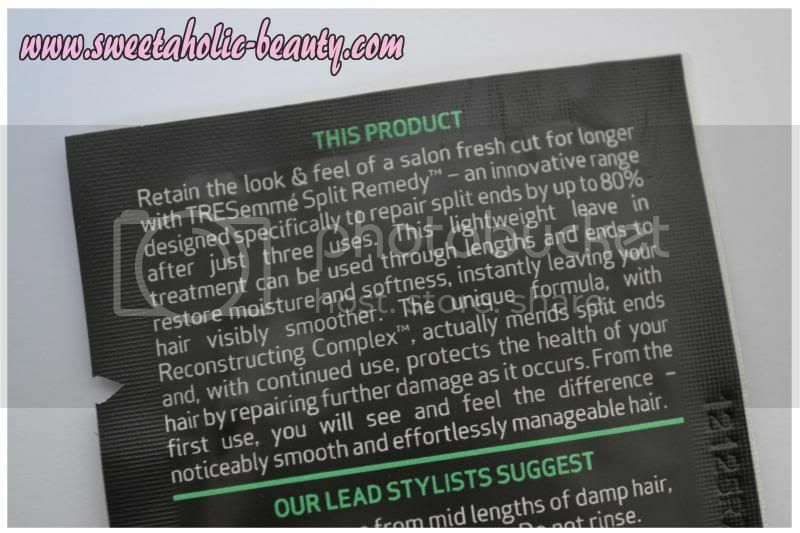 This claims to help split ends, but of course with one application I can't see a huge difference with that however. The only thing I didn't like was the fact that these were in sachets, as it made it hard to use the leave-in treatment. 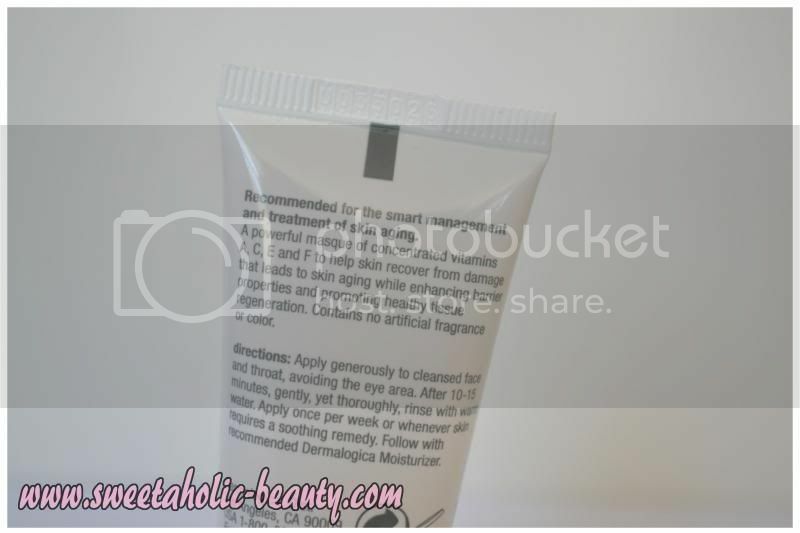 The back says 1-2 pumps of product should be enough, but the sachet had at least 2 applications! It's just a shame to see some of the product go to waste. Definitely! I'll be on the lookout for this range the next time I run out of shampoo! So there you have it, my first Sample Saturday. It was a little bit of a struggle to force myself to use all of these products, but the knowledge of knowing I've photographing them all made the process a little easier! 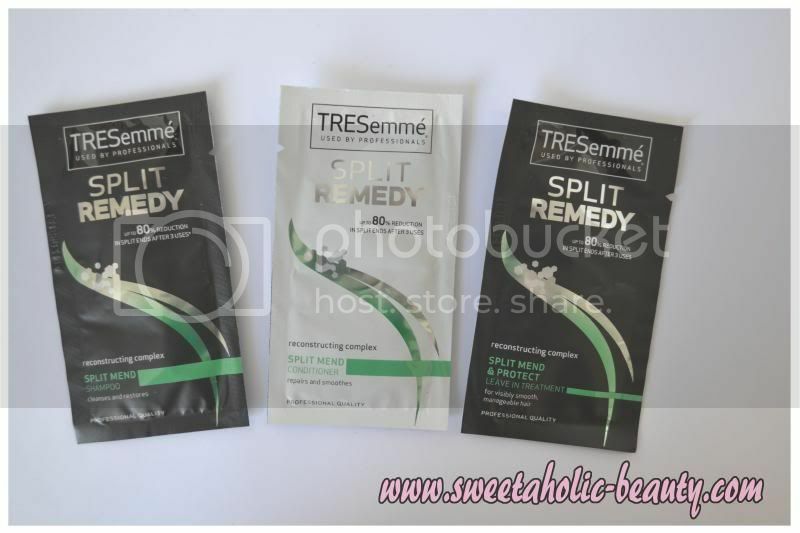 I was shocked to find that I really loved the Tresemme products, where I thought it wouldn't do anything for me, whereas I didn't like the Palmolive Body Wash at all, where I thought that would be something I would love! So watch out for next Saturday and another five mini-reviews! Have you ever used any of these products before? If so, what did you think? What a great series! I subscribed to all my boxes thinking I'd have so much to review but, in reality, there was just samples EVERYWHERE. Finally starting to work my way through 'em all. Slowly. Oh well, mini series for you too? What a great idea to use up your samples! My opinion of the strawberry bodywash is exactly the same! It's in the shower now, just for the sake of using it up. I'm happy someone else felt the same! It doesn't smell like real OR sweet fake strawberry, it smells like something completely different, so I totally agree with you! Such a great idea, I've been meaning to do one of these myself, but more a mini-review format! 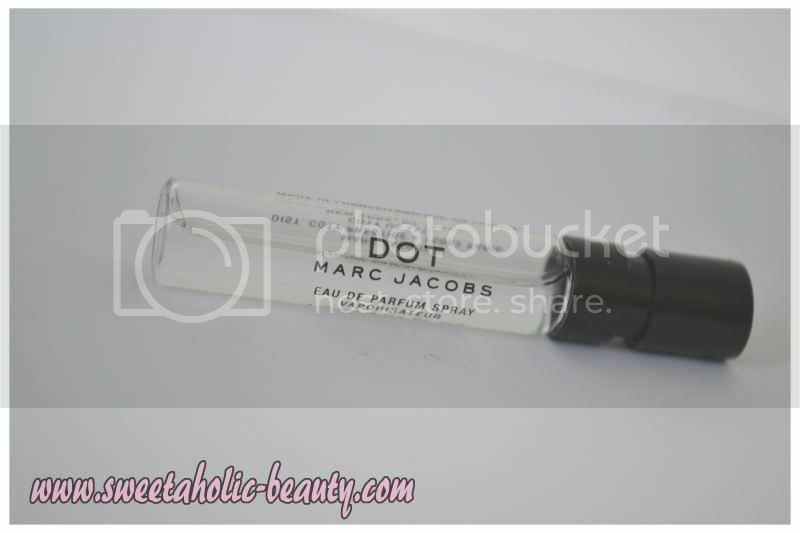 I have the Davroe, Dot and Tresemme samples somewhere...LOVED Dot but haven't used the others yet! It really is easy for them to pile up! I couldn't believe how many I had to review! 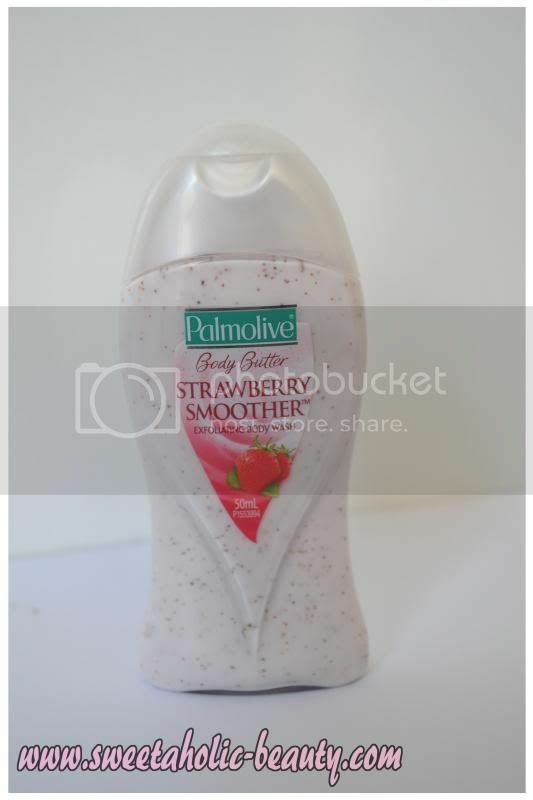 I really liked the Strawberry Smoother as a body wash, didn't think much of the beads and didn't feel like they did anything exfoliating. I use one of those sponge things so a little goes a long way. This is such a great idea. I don't subscribe to any boxes yet even I have piles of samples everywhere. I have no idea how it happens! Haha thanks lovely! I have no idea where they all come from! Such a wonderful idea for a post, especially with the amount of samples we can end up collecting from all of these beauty boxes! I always like beauty samples. Particularly those for hair. I like trying new gels, conditioner, shampoos, hair serums, all sorts of stuff. I've gotten nice creams for skin as well and always look forward to getting them. I agree with you about beauty samples being a nice treat. Who doesn't want to try new stuff every month/ it makes you feel good when you can pamper yourself with lots of different things, without spending too much money.